← Why Wasn’t 9/11 Memorialized This Year? How often do students use bathroom passes to skip class? Fewer students have been vanishing from Seth Matuszak’s classroom. Both students and staff at the West Bend High Schools believe that the abuse of bathroom privileges during class time has been an issue in recent years, but some claim to have seen improvement so far this year. In the past, students have misused bathroom passes to skip large portions of class. Matuszak, the orchestra director at WBHS, had problems last year with students disappearing for extended periods of time, which led him to change his original bathroom policy. Matuszak says that instead of using the bathroom, students would actually leave class to text on their phone or sit out in the hallway. “Some of the time I didn’t know it was happening because our class size is so huge and there’s so much that I’m paying attention to constantly that I didn’t always notice when a student would leave the classroom,” he said. West junior Morgan Wahouske, one of Matuszak’s orchestra students, had been aware that these students were leaving class. Since changing his bathroom policy, Matuszak believes that this issue has tremendously improved. Orchestra director Seth Matuszak instructs his Sinfonia class during Thursday’s fifth period. Due to large class sizes last year, it was sometimes difficult for him to notice when students would slip out of the room. Photo by Samantha Dietel, Editor in Chief. However, orchestra students were not the only ones slipping out of class unnoticed. 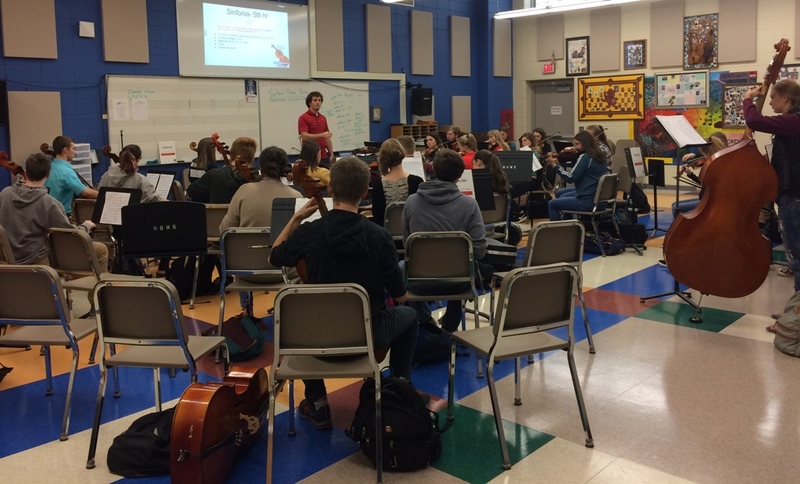 Band directors Leah Duckert-Kroll and Corey Murphy have also experienced similar issues with their students disappearing from class. In addition, some band students would ask to use the bathroom only after taking extensive time setting up their instruments and talking to their friends. “It’s not a culture, it’s a couple of students who want to abuse that privilege,” Murphy said. East English teacher Greg Mielke has also felt that his individual bathroom policy is sometimes taken advantage of. If a student asks to use the bathroom during class time and they say that they can’t wait, then Mielke allows them to go. Mielke says that he has yet to notice any of these patterns so far this school year. As part of the WBHS Compass team, an organization that aims to encourage positive behavior and create a safe educational environment, Mielke is involved in the effort to improve student conduct in the hallways. According to Mielke, these efforts might be working. “I’ve heard that the hallways have been less cluttered, and there’s been less foot traffic in the hallways during inappropriate times since we’ve started the Compass initiative,” he said. Mielke feels that this decrease in hallway traffic at inappropriate times is an indicator that fewer students have been abusing bathroom policies. 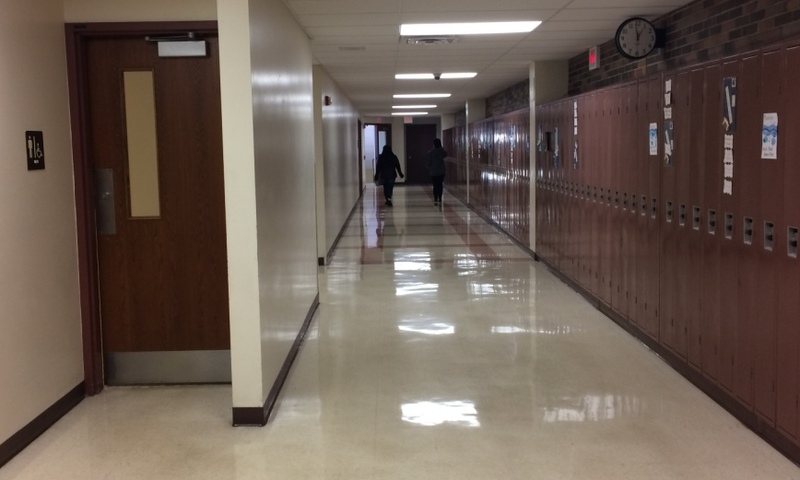 Two WBHS students use a bathroom pass to wander the halls Thursday during class time. Photo by Samantha Dietel, Editor in Chief. However, East junior Rachel Hilt thinks that many students still exploit these privileges. A West junior who wished to remain anonymous has heard of other students obtaining bathroom passes so they can secretly take drugs during class time. “Some students use the bathroom passes to do drugs,” the student said. When asked about the student’s claim, West assistant principal Patrick O’Connor urged that if students hear or see this happening, they should report it. West social studies teacher Aaron Paulin is concerned that a lack of hallway supervision during class time could potentially result in property damage. Paulin also says that while there have been occasional incidents of vandalism in the T hallway bathrooms, he does not any have issues with students disregarding bathroom privileges. O’Connor feels that most WBHS students are following school bathroom policies. A bathroom pass has been distributed to each WBHS teacher and is to be used when a student leaves class to enter the hallways during class time. 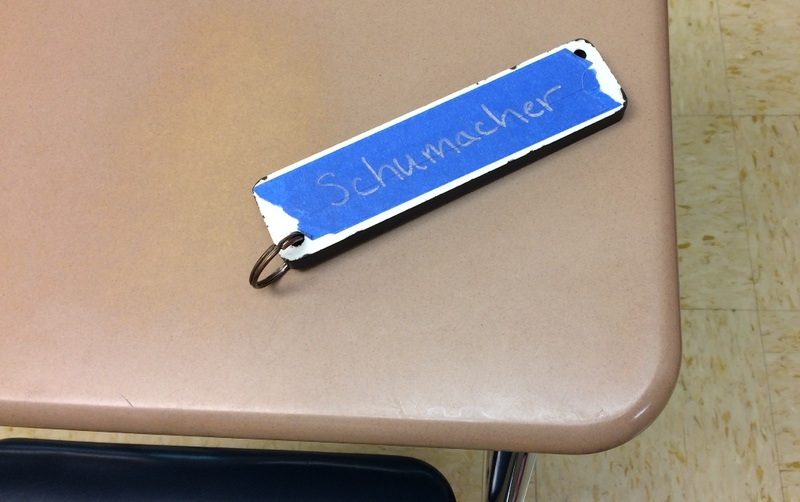 Photo of West English teacher Danielle Schumacher’s bathroom pass by Samantha Dietel, Editor in Chief. School policy requires that when students walk the halls during class time, including to use the bathroom, they carry a hall pass with them. According to Paulin, teachers are instructed to not allow students to leave during the first or final five minutes of a class period. 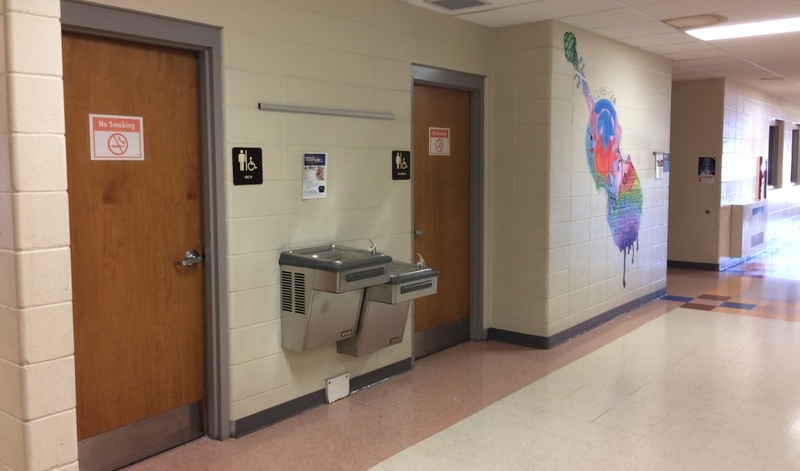 Matuszak believes that it can be hard to know when bathroom policies are being taken advantage of, since students sometimes have a tendency to exaggerate if they need to use the bathroom or not. (Top image: The music hallway bathrooms are located just outside the orchestra room, so students do not have to travel far to access them. When director Seth Matuszak noticed that students were gone for large portions of class time, he believed they were abusing restroom privileges. Photo by Samantha Dietel, Editor in Chief.